More than a couple weeks into the new year, those resolutions tend to start backsliding a bit. Healthy eating goals may crumble on a blustery winter evening when the call of carbs is too much to bear. Dry January gives way to “Just one happy hour drink!” Your fitness intentions start to sweat in the face of those January gym crowds. And so on and so on. 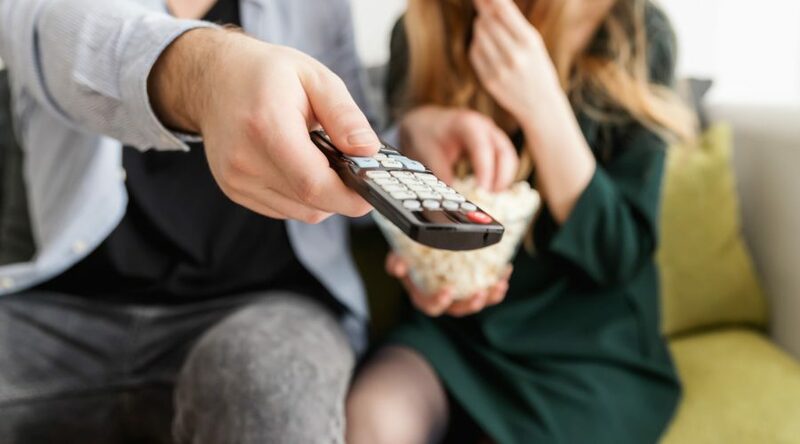 Netflix might seem like an unlikely source for getting yourself on track, what with the go-to connotation of binge-watching with snacks in hand. However, a slate of new shows on the streaming service aim to help you keep your New Year’s resolutions—and entertain you in the process. Based on the bestselling cookbook, , this food and travel show’s four hour-long episodes prompts you to reevaluate everyday ingredients and understand why good food tastes the way it does. During her tenure in the kitchen at Berkeley’s famed Chez Panisse, host Samin Nosrat realized that great cooks use the elements of salt, fat, acid, and heat as a compass to guide them through the kitchen. In her show, she demonstrates how these fundamentals apply to cuisines all over the world. We love host Samin’s infectious joy for what she tastes and learns. You’ll in turn be inspired to make focaccia from scratch, throw a dinner party featuring buttermilk chicken, taste-test local salsas, learn the difference between brands of salt, and simply get cooking. Each episode ends with a cozy feast, bringing home the idea that the goal of cooking is to share good food with the company you keep. The Goal: Tame the Chaos in Your Home, Once and for All! Planning to get more organized in 2019? Get inspired by the person behind the world-famous decluttering method phenomenon. Kondo’s show takes the methods from her bestselling book, , and applies it to real families and their homes. Each episode helps a different family with a different need—one is preparing for a baby to arrive, one is a family that’s moved into a smaller space, another is a couple becoming empty nesters—and each episode watches them decide what sparks joy in their lives, and the result of removing all that doesn’t from their homes. It also reviews specific organizing tactics from Kondo’s book, like how to fold fitted sheets, organize dishware, and other handy methods. After seeing the end result of each home, you’ll be itching to start tidying up your own—armed with a trove of tips. This new series gives the traditional home renovation show an Airbnb twist. Stay Here follows a designer and marketer duo who help homeowners renovate their properties for future guests through vacation rental sites. The episodes range from a Seattle houseboat and a Paso Robles wine country cottage to a Palm Springs 70’s throwback disaster, and are packed with plenty of inspiration to use in your own home. We dig the show’s fresh angle on the home makeover model with the business and vacation host mindset, including backstories on what some of these families are hoping their future renters can help them accomplish (like sending a kid to college.) If you’re looking to redecorate, or even become a host this year, this could be the show for you.